The core purpose of a building is to accommodate life. In order that life can find a place to flourish. Architecture created in such a way becomes life architecture. Life consists of energy and matter. The energy is the soul of life and its inner aspect. Matter is the incarnation of life and its outer aspect. The information layer and the consciousness layer. 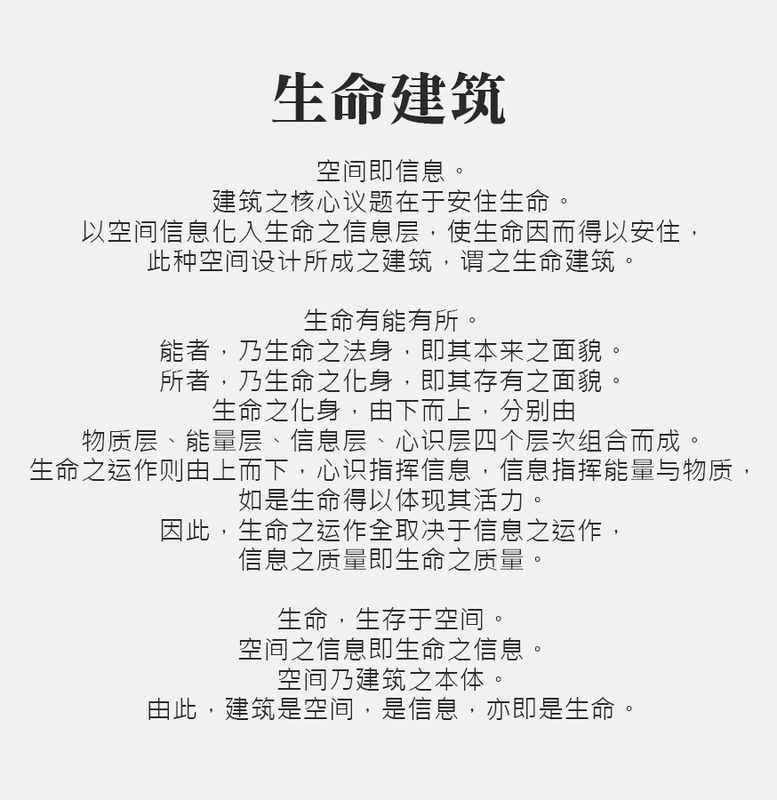 The operation of life is in descending order. Which in turn controls energy and matter. This is how life realizes its vitality. The operation of life therefore depends on the flow of informati on. The quality of information is then the quality of life. The information of space is then the information of life. Space is the essence of the building. 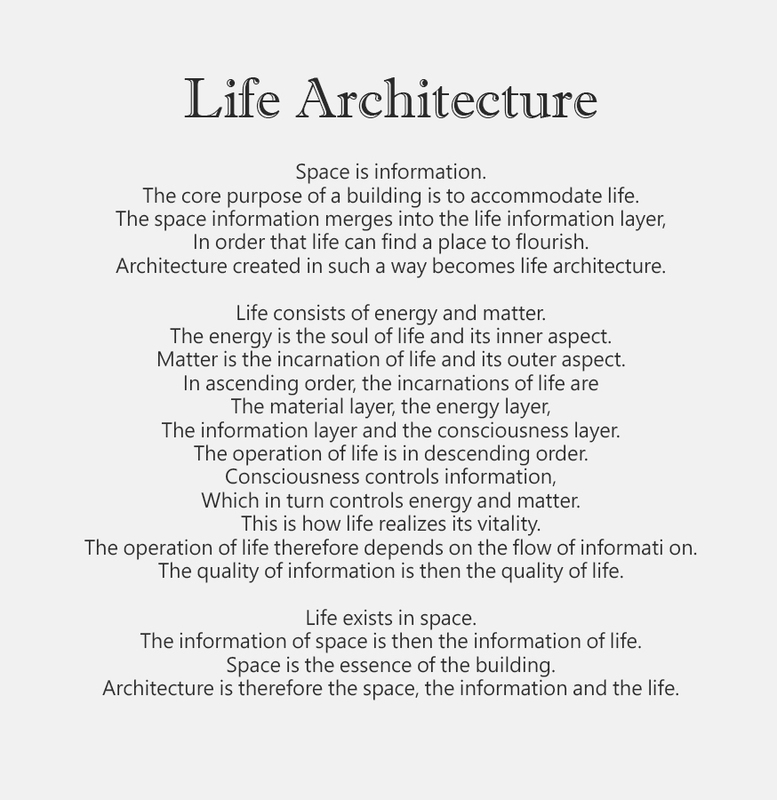 Architecture is therefore the space, the information and the life.